China's State Council Information Office on Wednesday issued a white paper on democratic reform and the leap of development in Tibet over the past six decades. "By abolishing serfdom, a grim and backward feudal system, Tibet was able to establish a new social system that liberated the people and made them the masters of the nation and society, thus ensuring their rights in all matters," the document said. The year 2019 marks the 60th anniversary of the campaign of democratic reform in Tibet. These 60 years have changed Tibet completely, turning the region into a beautiful home to the local people, seeing their solidarity and enterprising spirit and a great leap of social progress, it said. The leap of Tibet's development fully demonstrates that its democratic reform conformed to the historical trend of the times and the fundamental aspirations of all ethnic groups in Tibet, and met the people's real demand for social progress. 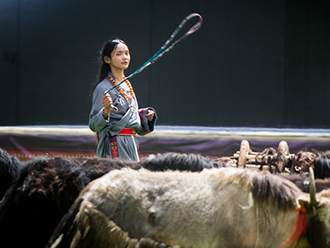 Since democratic reform, the people of all ethnic groups in Tibet have become the masters of the country. It has been deeply rooted in the people's minds that they must remain committed to the leadership of the Communist Party of China (CPC), the socialist road, and the system of regional ethnic autonomy, the document stressed. "For many years, however, the old Tibetan forces represented by the Dalai Lama have attempted to deny the achievements of democratic reform and development in Tibet, for the sake of their political interests and out of a hankering for the dark and backward days of feudal serfdom," the document said. "They disregard facts, and attempt to reverse the tide of history in opposition to the interests of human civilization." Describing the years before 1959 as "very dark and cruel days," Norbu Dondrup, vice chairman of the Tibet Autonomous Region government, told a press conference here that there were ulterior motives behind the Dalai Lama's criticism over the human rights situation in Tibet. "In the old Tibet ruled by the Dalai Lama, serfdom completely deprived serfs of their human rights. They barely had the right to live, let alone the right to develop themselves," Norbu Dondrup said. "He (the Dalai Lama) has no right and is not eligible to talk about human rights in Tibet." The over 3 million people in Tibet have the most say, he said, adding that "the best human rights situation is the people feeling contentment and happiness." Under the guidance of Xi Jinping Thought on Socialism with Chinese Characteristics for a New Era, the people of all ethnic groups in Tibet are working together with the whole country to create a better life and achieve the great rejuvenation of the Chinese nation, it noted. "With steady progress being made towards socialism with Chinese characteristics for a new era, Tibet is bound to have an even brighter future," the document said. Besides a preamble and a conclusion, the white paper consisted of ten sections, "Feudal Serfdom: A Dark History," "Irresistible Historical Trend," "Abolishing Feudal Serfdom," "The People Have Become Masters of Their Own Affairs," "Liberating and Developing the Productive Forces," "Promoting a Range of Undertakings," "Enhancing Ecological Progress," "Protecting the Freedom of Religious Belief," "Strengthening Ethnic Equality and Unity," and "Development of Tibet in the New Era." Through democratic reform, feudal serfdom under theocracy in Tibet was abolished completely, with about 1 million serfs liberated. From Sept. 1 to 9, 1965, the First Session of the First People's Congress of Tibet was held. At this session, Tibet Autonomous Region was established, and the People's Committee of the autonomous region came into being by election. The people in Tibet can, in accordance with the law, directly elect deputies to the people's congresses at county (district) and township (town) levels, and these elected deputies will then elect deputies to the people's congresses at the autonomous regional and national levels. Currently, there are 35,963 deputies to the people's congresses at all levels in Tibet. Among them, deputies from the Tibetan and other ethnic minority groups account for 92.18 percent. According to Norbu Dondrup, a majority of leading officials at local governments were from ethnic minority groups, and people play an equal part in political affairs regardless of their ethnic origin and social status. In 2018, Tibet's GDP was 147.76 billion yuan (22 billion U.S. dollars), soaring from the 1959 figure of 174 million yuan. Before democratic reform the serfs had little food and scanty clothing; immediately after democratic reform began, their living conditions started to improve. In 2018, the average per capita disposal income of urban residents was 33,797 yuan, and that of rural residents was 11,450 yuan. In old Tibet, education was largely the preserve of the privileged aristocracy. The serfs who made up 95 percent of the population were not entitled to education, resulting in an illiteracy rate surpassing 95 percent among young people. In 2018, the net enrollment rate in primary schools in Tibet was 99.5 percent, while gross enrollment rates in junior high, senior high and higher education were 99.5, 82.3 and 39.2 percent, respectively, with the per capita length of education reaching 9.55 years in the region. 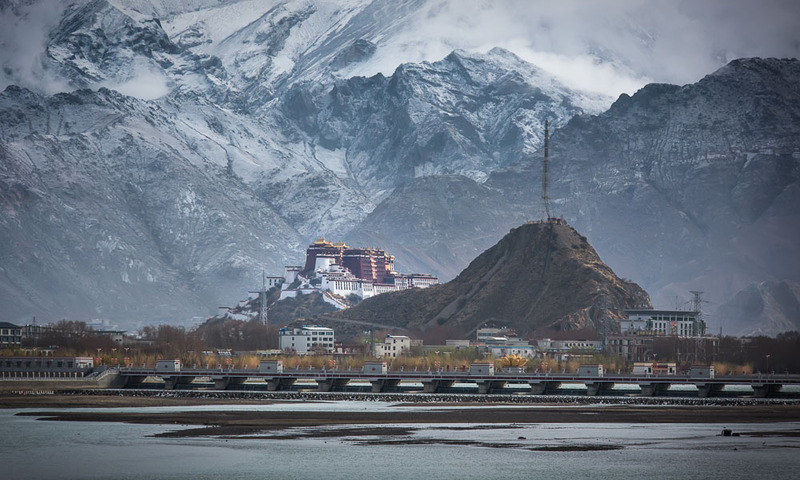 "After democratic reform, Tibet put an end to theocracy, separating government from religion and so restoring the latter's true significance," the document said. Currently, Tibet has 1,787 sites for the practice of Tibetan Buddhism, over 46,000 resident monks and nuns, and 358 Living Buddhas. There are four mosques and over 12,000 native Muslims, and one Catholic church and 700 believers. The Living Buddha reincarnation is a succession system unique to Tibetan Buddhism, and is respected by the state and governments at different levels of the autonomous region. By 2018, 91 incarnated Living Buddhas had been confirmed through traditional religious rituals and historical conventions. Since the 1980s more than 1.4 billion yuan has been spent on restoring Tibetan cultural relics and refurbishing key monasteries. "People of all ethnic groups in Tibet have a deep love of the Party and our country. We are very happy to live in this big family," Norbu Dondrup said.